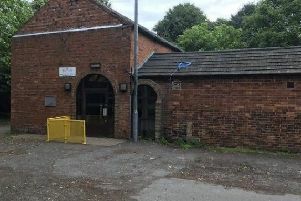 A company director has been fined £10,500 after he was found guilty of holding frozen meat in the human supply chain when it was safe only for pet food. Northampton Magistrates’ Court heard how 16 pallets of food found in a cold store by environmental health officers from Daventry District Council (DDC) was past its use-by date and lacked the proper paperwork tracing its origin. The meat – a selection of chicken, beef and pork products - was only suitable for use in the pet food industry, the court heard. But despite being unsafe for human consumption it was acquired by Northampton-based Chrysalis Enterprises Ltd, and illegally placed in the cold store. Before the court was the firm’s sole director, Ben Loeber, who was convicted following a two-day trial of three offences under the Food Safety and Hygiene Regulations. The court heard Mr Loeber had taken possession of the meat free-of-charge from a clear-out of a cold store in Suffolk, transporting it to an independent cold storage facility in Daventry district. Environmental health officers from DDC discovered the meat during an inspection of the facility on January 31 2014. Most of the food was past its use-by date and had inadequate labelling and health marking as required by EU food law. Officers detained the meat using legal powers after Mr Loeber failed to provide traceability documentation, and it was sent to a pet food processor the following month, the court heard. It is illegal to place in a cold store food that is unsafe for human consumption and doing so, the prosecution argued, amounted to placing the food ‘on the market’, where it could re-enter the human food chain. Mr Loeber denied this, saying he had only placed it in the cold store for sorting purposes. But, in delivering their guilty verdict following the conclusion of the trial on October 2, magistrates were satisfied the food was unsafe and that its storage in the cold store facility meant it had been placed on the market. Mr Loeber, whose business is based in Henry Bird Way, Northampton but registered in High Street South, Dunstable, received the maximum £5,000 fine for placing on the market unsafe food and a further £5,000 fine for failing to establish its traceability. He was also fined £500 for failing to withdraw it from the market, and ordered to pay legal costs of £10,000 and a £120 victim surcharge. He was cleared of three other charges of placing on the market quantities of ‘pigs-in-blanket’ sausages and unsmoked dry cured bacon contrary to Food Safety and Hygiene Regulations. Councillor Mike Warren, health and housing portfolio holder at Daventry District Council, said: “The traceability of food is absolutely vital to ensuring food safety. People should have confidence that the food on their plate is safe to eat and without the proper paperwork there is no way of knowing where food came from or how it has been treated. “This was unsafe food that could have entered the human food chain without our intervention. We take these matters very seriously – a lot of time and effort has gone into bringing this prosecution in the interests of public safety so we welcome the ruling of the court.